This is the transcription of the first edition of Return to the Source, my new podcast on excellent writing about Africa. You can of course also listen to it, or subscribe to it in your podcast app of choice! Hello and welcome to Return to the Source number two, the “they sure read Orwell in Eritrea” edition. 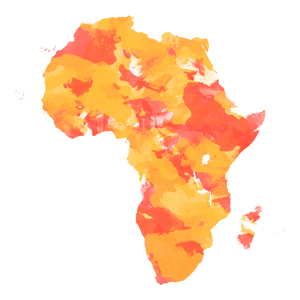 My name is Peter Dörrie and like every week, I will present and discuss three interesting pieces of writing about Africa. I will talk about two excellent articles about South Sudan and Nigeria a bit later, but first let me discuss an incredible document, the “Report of the commission of inquiry on human rights in Eritrea”. Now, this title probably sounds as exciting as dried out bread and indeed, you better don’t read it for the quality of the prose. But the report is still one of the most fascinating pieces of political literature about Africa in recent months and you owe it to yourself to read at least the abbreviated version. Now, this is pretty abstract in and of itself and the authors of the report, Mike Smith, Victor Dankwa and Sheila Keetharuth, go into more detail later. But finding this line in an official U.N. document is nonetheless significant, not least because the phrase “crimes against humanity” puts this issue plainly into the responsibility of the International Criminal Court in The Hague and the responsibility of the International Community at large. The authors preempt the report by stating that they were not able to do research in Eritrea itself, because the government refused to cooperate with their mission in any way. The more than 550 interviews the report is based on all took place in other countries as a result and anonymity has been granted to all respondents, a sensible measure if you take what is coming at face value. If I may paraphrase the whole thing, Eritrea is basically Orwell’s 1984 come true. The report documents systematic and state sponsored torture, a complete absence of freedom of the press and expression and compulsory national service and forced labour under conditions akin to slavery. There are some incredibly pieces of information in this document. Like for example the aforementioned fact that a parliament simply doesn’t exist in Eritrea, not even as a propaganda instrument like in North Korea. Instead, all laws are passed by the government itself. Since independence, the country has been ruled by President Isaias Afwerki, who has never been confirmed in any form of national election. Once arrested, Eritreans are disappeared almost as a matter of course and inquiring about their whereabouts can easily land relatives in jail as well. Conditions in jails are as bad as one can possibly imagine and women and children are subjected to these conditions indiscriminately. According to the report, prisoners are kept incommunicado often for years and are not informed of the charges against them or even of the outcome of the trial against them, if a trial happens at all. For me personally, one of the most chilling aspects of this grueling system is the national service that all Eritreans have to subject to. I myself did civil service in Germany and the 9 months as a national park ranger were more a pleasure than anything else. In Eritrea, the report details, national service is essentially indefinite and draftees are subjected to conditions that constitute systematic torture and are akin to modern-day slavery. And this for basically every citizen in a whole country! Six to ten per cent of Eritrean nationals have migrated or fled from their home country, according to the report and many live in refugee camps and only have uncertain legal status. Eritreans are the second largest group of illegal immigrants to the European Union and thousands have perished in recent years on the dangerous voyage. Currently, the report implies, the international community is not doing enough to safeguard the rights and lives of Eritreans in their own country or as refugees. You should really check this report out for yourself. If the full 484 page version does not fit into your schedule, there is also an edited 28 page version with the most important points. You can find links to both documents in the shownotes, as well as links to some media articles on the report. As always the shownotes are accessible via the podcast app you are using right now, or on returntothesource dot co. This is also where you can subscribe to this podcast. Now let’s come to the second piece I want to talk about. This one is titled “South Sudan and the chronic failure of a ruling elite” and was written by Mawan Muortat, a South Sudanese national himself. It was published by African Arguments, the blog of the British Royal African Society and an excellent source for intelligent writing about Africa in general. He supports his argument with an insightful discussion of South Sudanese history since colonization. I’m not an expert on this issue myself, but Muortat makes a very convincing argument that ethnicity as a dividing political concept is a very recent phenomenon in South Sudan, essentially created by the current political elite to suit their agenda. This fits nicely with my own view of ethnicity as a socially constructed, albeit very real, concept that is the consequence rather than the source of political action. In South Sudan, Muortat states, it is even not that old and responsibility for the civil war has therefore to be placed at the feet of the political elite, instead of anonymous social structures. Muortat’s article is worth your time for the historical analysis alone, but you should also consider the implied consequences for the resolution of the conflict: South Sudan’s elite can not be trusted to negotiate for peace in good faith. Basically none of the relevant actors have shown any effort in recent years to work for the broader interest of their country. While an end of hostilities is unlikely without the elite agreeing to it, the international community and especially the neighbouring states should treat this elite not so much as a constructive actor to work with, but a potential spoiler that in the long run has to be either reformed or isolated. As always, you can find a link to the article by Mawan Muortat, as well as links to the author himself in the show notes on returntothesource dot co.
And with that I come to the last piece for today, this one is about Nigeria. There was predictably a lot of chatter about the outcome of Nigeria’s recent election and this is one of the better articles I’ve read. Again published on African Arguments, it is titled “Nigeria’s new political landscape explained” and was written by freelance journalist Ejiro Barrett. I picked this article because it manages to take into account the importance of local politics for the political process in Nigeria while not making the whole story about Boko Haram. The piece also makes some very optimistic forecasts for Nigeria’s future. Quote “These elections have clearly set the stage for a new Nigeria; one where people will feel confident enough to make demands on the government like never before. As one man puts it, “now we know we can vote in or out whoever we choose, our leaders will be on their toes from now on.” end quote. If the administration of Muhammadu Buhari can live up to these expectations, only the future can tell. But Barrett paints an interesting picture of Nigeria’s post-election sentiments and mentions some interesting and positive initiatives of the new administration. “President Buhari and his vice, Professor Osinbajo, have also fulfilled one of their key campaign promises by declaring their assets – a step former president Jonathan evaded throughout his four year term,” the author notes and adds that Buhari also took some symbolic steps in the conflict against Boko Haram and for the effectiveness of government. He relocated the military command responsible for fighting Boko Haram from Nigeria’s comfy capital Abuja to the conflict theatre itself in Maiduguri and has promised to look into allegations of crimes committed by security forces in their fight against the insurgency. I know little about this aspect of Nigerian constitutional law, but I think this is quite fascinating. So far Buhari seems like the independent character he promised to be on the campaign trail and willing to break with the business as usual of Nigerian politics. I am personally cautiously optimistic about Buhari’s ability to address some of Nigeria’s most pressing challenges. Again, you should check this article out by yourself and you will find the link to do so in the shownotes. There you will also find links to a host of other articles which are also excellent, but which I could not feature here because I actually and annoyingly have to do some real work as well. But if you are interested in Africa, you might find these links of interest to you, so check them out in your podcast app of choice or on returntothesource dot co.
As always, I’m interested in your feedback and recommendations on which excellent pieces of writing about Africa I should cover next week. You can find me on Twitter at @peterdoerrie thats spelled p e t e r d o e r r i e, or just send me an email: peter.doerrie@gmail.com. If you are confused by my surname don’t worry, you can of course find all of this in the shownotes. I hope you tune in next week as well, when I return with a new collection of outstanding writing about Africa. Thanks and Goodbye.